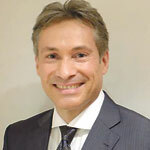 Kurt Zbinden first joined Swarovski in 1999, when he took the role of Managing Director at their Southeast Asian sales and marketing arm, Signity Thailand. In 2007, he became Regional Director and later Operations Vice President for the entire Swarovski organization in Southeast Asia and India, with the latter role subsequently expanding to its current geographical range over the entirety of the Asia Pacific region. Prior to joining Swarovski, Mr. Zbinden had obtained a Doctorate in Mineralogy from Tohoku University in Sendai, Japan, as well as a Graduate Gemologist (G.G.) Diploma from the Gemological Institute of America (GIA). From there, he was able to obtain the role of Western European Sales Manager in his native Switzerland for the pearl wholesaler Gulay Buchel, before moving to Thailand to manage their wholesale operation in Bangkok. It is from here that he was able to negotiate the merger of the wholesale and distribution operations of Gulay Buchel and Swarovski to form Signity Thailand.